Congrats Samuli Marila from Copenhagen Roaster/ Estate. He competed his way through the Danish Cuptasting Championships and ended up as the winner of the day. The first round was a bit shaky for Samuli and he didn't feel satisfied with his performance. He still made it to the finals and once there he was getting it all straightend out. If you never heard of competing and cupping you can read more about it here. Undersigned did a less flattering 8th place. I'll blame it on the weather or something. No seriuosly, it was a great day and everybody at the Collective couldn't be happier on behalf of Samuli. He has been working on and of with coffee for a long time at Copenhagen Roaster/ Estate. Always dedicated and always with his very own ideas about everything from food to bikes. A great friend. He will now go to Cologne and represent Denmark at the World champioships end of June. I had a very nice day hanging out with some of the coffee folks from around Denmark. Discussions about coffee was all over. Of course we were focused on how the competetion was going, but that rather gives people a very good chance to talk in a relaxed environment. After having admired the coffee of Hacienda La Esmeralda in Panama for a while and visited their farm the last two years. 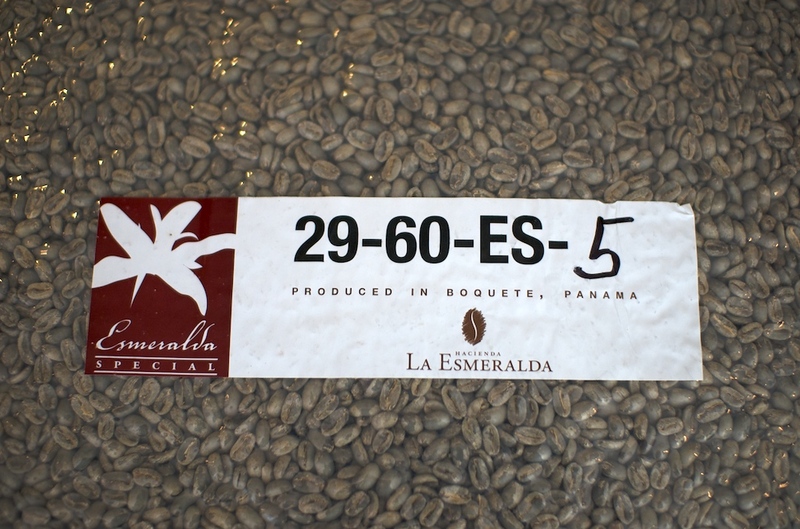 We are very happy to announce that we got a lot in the just finished La Esmeralda auction! Elegant sweetness-acidity balance and intense top notes like Abricot and Jasmin would be preliminary descriptors for this coffee. We will try to get this fantastic coffee in store asap! We are proud to have been nominated for the price Byens Bedste in the catagory of Coffee. Danish website and paper AOK - Alt Om København - gives out the nominations in different catagories every year and then it's up to people to vote. Last year we were nominated in the ambiguous catagory of Best Conscience, but this year seems more fitting.